You write a book which you are rather pleased with, your agent likes, even your editor likes. But the process in some way is only just starting. It has to be handed to the more objective scrutiny of the copy editor. I don't know if she liked it or not but she's noticed that I've got the timeline wrong in Book 2 - again. It's my Achilles heel - I'm absolutely rubbish with numbers. The timeline goes from March 15 to April but the character back in Mar 15 calls the character in April 10. Ouch. This means moving WHOLE CHAPTERS and worse, means that all the other stuff in them isn't necessarily in the right place now. I remember thinking a writer's life must just be so creative, sitting at their desk and just crafting lovely stories and characters. Well, it is sometimes, but more often it's rewriting, editing, fussing over the placement of a comma or a plot point, trying to find the right detail of research to support your book, rewriting some more, cutting out great chunks of stuff you love, writing whole sections of the book you didn't envisage... It's a pleasure and a privilege to be doing this, but wow, it's a lot of work! Book 3 is in just that state, with a beginning I really like, an ending I think works very well - and basically a gaping whole of rejected chapters where the middle should be. I just carved twenty-two thousand words out of the draft and threw them on the bonfire. But the book is better for it. I just have to get A and B to the right place to connect up with the ending. No pressure then! I hope they do join up. Meanwhile we are trying to sell our big house but although people love it - they really do - they can't cope with the location. We live at the top of a VERY steep drive... But we hardly ever get unwanted callers. It is too steep and narrow for a lot of cars to be fair, but our elderly Toyota people carrier storms up it just fine. People are wimps. I've been very productive this week. I don't think it's a complete coincidence that this is the first week my husband went back to work as cancer free as he is probably going to get. He did his usual week's work (Mon-Wed) and so did I. I knuckled down and edited, rewrote and reshaped Secrets 3, sent off A Baby's Bones to be put to my publisher (he has an option on my next book) and I have sent book 2 off for copy edits and so on before its publication in October. The US, Finnish and German versions of book 1, The Secrets of Life and Death are set to come out in the same week, sort of Halloween time. And the US listing on Amazon has the nicest review from JD Horn, who I'm reading now. And I know this is undeniably tacky but I'm so thrilled I'm going to put it up here! Mostly because one of my favourite book ever was Kostova's The Historian and I'm thoroughly enjoying Horn's first book. "In Rebecca Alexander’s engrossing debut, THE SECRETS OF LIFE AND DEATH, Alexander offers up the most successful blending of mystery, historical intrigue and occult fantasy since Elizabeth Kostova’s THE HISTORIAN. Inspired by an authenticated encounter between the family of Elizabeth Báthory and the occult superstars of the Elizabethan Era, John Dee and his protégé Edward Kelley, the story moves seamlessly between the contemporary tale of heroine Jackdaw Hammond, a woman living on borrowed time, and Kelley, a morally conflicted scholar who believes himself possessed by angels. Defying pigeonholing into any single genre, Alexander’s brilliant and multilayered reimagining of the vampire mythos balances contemporary fantasy with erudite, yet accessible, historical fiction." 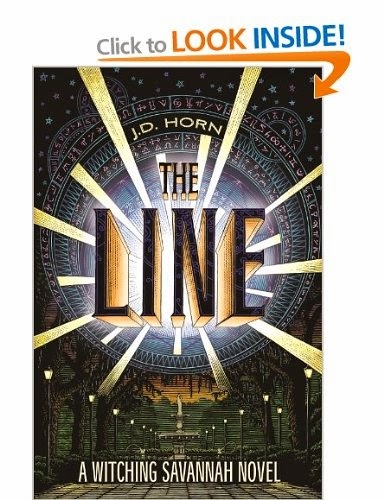 J D Horn's first book, The Line, is part of a series and so far it's dragged me in and kept me hooked. I'll let you know what I think of it when I finish, but it's very promising so far! I did it. 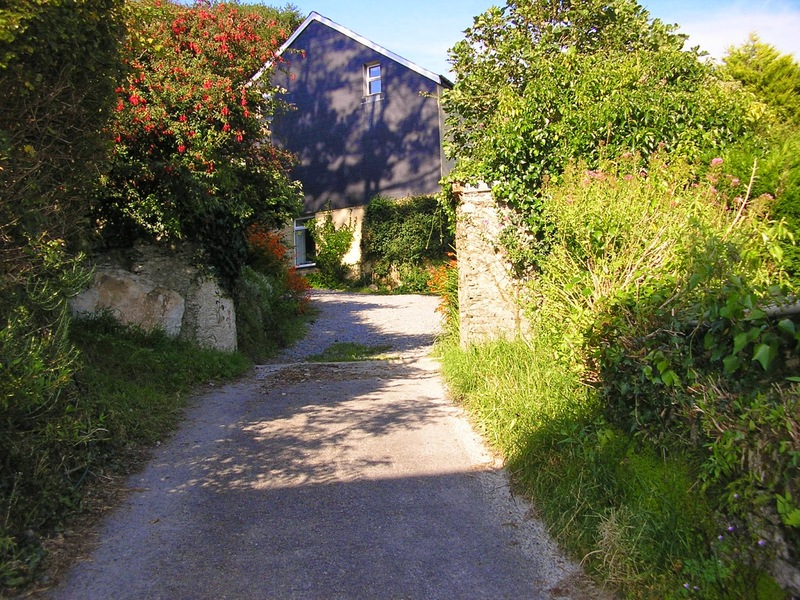 I went away to Totleigh Barton in a remote area of Devon (really, really tucked away) and did poetry. With hindsight, I wasn't really at the same level as most of the other students: not only were they much more knowledgeable and proficient and fluent than me - they were really good readers too. I learned loads, but I still came away with the most valuable lesson - I am NOT a poet. I can write poetry, sure, and I know x, y and z about poetry, but the love of it isn't there. It's that passion that makes people push their poetry into art, and I'm just not there. But I don't mind - I got some amazing feedback from both tutors (Mimi Khalvati and David Harsent) and we had an amazing guest reading and Q&A session from Maitreyabandhu. But the urge to tell story and find plots and twists comes first for me. I did spend some time wandering in the amazing garden and thinking about characters in book 3, even though I'd promised myself I wouldn't. I was entranced by the beauty of the place, and the incredible mix of people there. The group was rich with accomplished and experienced poets, some of whom were already getting published. There were also a few (very few) who were finding their feet, like me. There were some very lively personalities there, too! Being in such a varied and funny and sometimes rowdy group (or was that mostly one Irishman and his patient, artist partner offering translations?) was a delight, if exhausting. So many creative people, so much lovely poetry by the end! It was also a relief to get away from the six month drama that is the fallout from my husband's cancer, in the final stages of being shrivelled by radiotherapy. No kids, no sickly cat, no house-on-the market drama (except one. The BBC might be interested in using our house for one of their programmes - how cool is that?). I won't give up on poetry because it's how I work and process the dramatic moments of my life. But next time - I'll be better prepared for the subject matter.